Even though the first of the Harry Potter books was published in 1997, 18 years ago, it is still very much popular today. Every other of the remaining 6 Harry Potter books was a huge success and people were queuing outside bookshops to be one of the first to buy the books. The kids that have grown up with the books are already old enough to travel by themselves and to visit some of the places where the Harry Potter movies have been filmed, where the most iconic scenes took place. And a real Harry Potter fan would want to see it all. 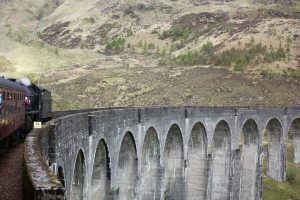 If you are one of these people, here are some great news for you, there are real-life Harry Potter destinations you can visit. And here they are! Where else to start out real-life Harry Potter destination, tour then the very own home of all the magic, the place it all started – Hogwarts School for Witchcraft and Wizardry. Such a special place in the novel needed to be represented in a special way. And the castle that was chosen for this purpose was the Medieval Alnwick Castle in England. 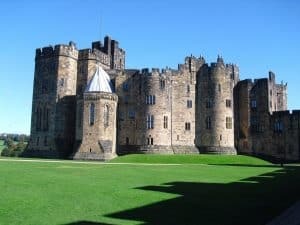 Unfortunately, only the first two Harry Potter movies were filmed there – Harry Potter and the Sorcerer’s Stone and Harry Potter and the Chamber of Secrets. If you watch carefully the outdoor scenes in these two movies, you will notice the interesting architecture of the castle. The second stop in our Harry Potter tour is the cafeteria, where all the Hogwarts students and their teachers dine together. All the holidays, the beginning and the ending of the academic year, all the gossips and news, almost everything happens in the cafeteria. 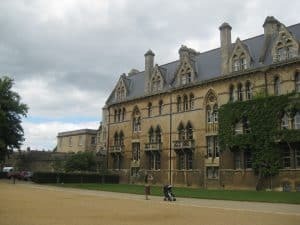 And what a place will be able to gather all the students of Hogwarts with all 4 long tables (each tables is for the four houses the school has), better than the Christ Church in Oxford. This is a college where the students actually study and dine the same way the young wizards and witches in Harry Potter. You can go there and have a look at the room and feel the atmosphere of the movie since there will be students there as well. It is about time for the famous Hogwarts express. If you look the inside part of the train, it looks like any other old train. But if you watch the movie carefully, you will look at one of the most beautiful sceneries you can see if you travel by train. And this is the Jacobite steam train. Get some of your friends and just like real-life Harry, Ron and Hermione you will travel to Hogwarts. Well, may be not exactly, but you will be able to see the beauty of the western coast of Scotland and you will never regret your trip. Speaking of traveling with a train, there is no way we can miss the famous platform 9 ¾ that has become iconic for the movie and its fans. You can find all kinds of souvenirs, like T-shirts and coffee mugs, with the sign 9 ¾. If you wonder where this place is in real life, wait no more. 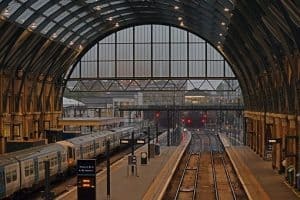 This is the King’s Cross Station in London. However, if you go there do not try to act like a real wizard and bump into the wall between platform 9 and platform 10, because the only effect you are going to achieve is to attract all the eyes of the people on the station, and not in a good way. Of course, this is not exactly an iconic place, but is still significant, because this is one of the first times when Harry found out that he is different from the other kids – he was able to hear the snake talk to it. Later in the story his ability to talk to snakes will prove to be a key part of the plot. And this very first scene in the zoo was filmed at the London Zoo. It is not such big a surprise since most of the movie was filmed in England, but the London zoo is definitely worth visiting especially if you love animals. All the Harry Potter fans will never forget The Forbidden Forest. There happened some of the most interesting and breathtaking parts of the story. The students were not allowed to go there, but, of course, this never stopped Harry, Ron and Hermione from going there, getting in a trouble or saving some poor creature in need of help. Well, if this is your favorite real-life Harry Potter destination, do not be afraid to in the Black Park Country Park to pay a visit to the huge spiders. Just kidding, they at least are not real, or let’s hope they are not.